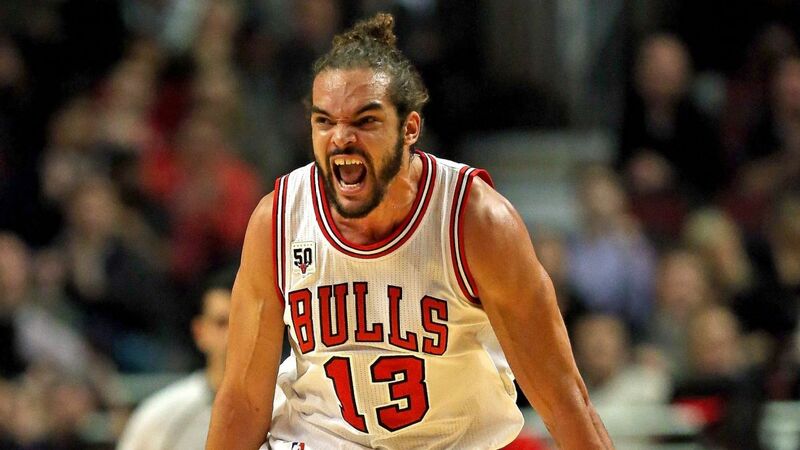 Last season, Joakim Noah averaged just 1.7 points and 2 rebounds per game in 5.7 minutes of playing time. The Knicks still owes Noah a huge amount of money left in his contract. Noah is an all-star caliber center back in his prime. He helped Derrick Rose and the Chicago Bulls to gain success in the playoffs. Noah is a huge part of the Bull’s playoffs run. Noah is a triple-double threat night in and night out. He is a great rebounder and hustler. He is a good defender and has a high basketball IQ. He can also see the floor well and make the right pass to his team mates. He doesn’t score a lot but what he does on the floor is unremarkable. What he is contributing every game cannot be seen in the stat sheets. Setting big picks or screens, boxing out and hustling. But Noah took a major down fall in his career when injury hits him. According to Adrian Wojnarowski, the New York Knicks are planning to waive Joakim Noah if they cannot find a deal to trade him or if he does not agree to a buyout. The 33 year old veteran center has two years left on his contract worth $37.8 million. The Knicks are not ruling out the possibility that Noah may still be part of their rotation for the next season but their main priority is to get rid of his huge contract. Since last season, Knicks General manager is trying to shop Noah but he is not willing to include young talents or any draft picks in trading Noah that's why the Knicks weren't able to find a team who is willing to take on Noah's huge contract. This off-season, the Knicks are still aggressively trying to find a deal for Noah but they were still not successful. There are reports that Noah and coach Jeff Hornacek is not in good terms. Coach Hornacek has been fired by the New York Knicks by the end of the season and they hired Coach David Fizdale to replace him. Noah signed with the Knicks in 2016 to help Carmelo Anthony and the Knicks strengthen their front court. Noah played 53 games with the Knicks and missed some games due to his injuries. Early in March of 2017 Noah has been suspended 20 games buy the NBA for violating the NBA's anti-drug policy. Since that, Noah's game has been different and he hasn't been able to come back to his old self. In my own opinion, Noah's time in the NBA is over. I think it's best for him to accept the fact that he is not the player he was back then and he may now consider playing overseas.